As South Africans, we know how important our entrances are. They are the first impression that people will get of our homes, giving them a little taste of what to expect from the rest of our design and decor. We also want it to be charming, warm and inviting so that guests feel at home the moment they see the entrance of your house! This is why today at homify, we have put together 17 ideas for South African entrances. These will prove to you just how many options there are, which means that you can truly find a style that suits your needs and wants. 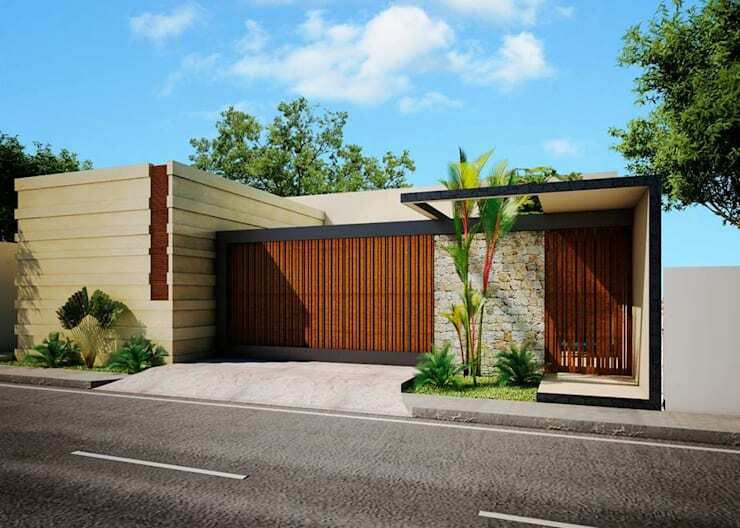 We also hope that by exploring this array of entrance ideas, you'll be inspired and motivated to make your entrance that much more welcoming and appealing. 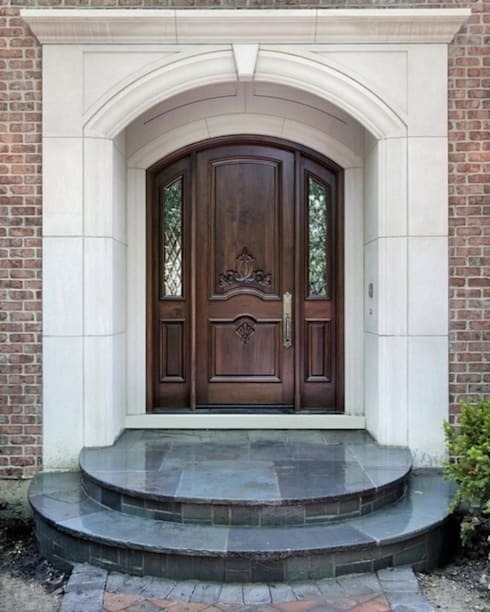 This design by professionals Yolanda Wessels is a wonderful example of how a detailed wooden door, brick wall and tiled steps can work together in harmony to create a very grand look and feel. The designers have flawlessly combined texture and tone here! Offer your guests a little glimpse into the interiors of your home, without compromising on privacy. This will immediately give them a connection to the inside, making them feel at home from the get go. Choose the colours of your entrance carefully, opting for soft pastel tones, neutral shades or cheerful splashes of colour. In this design, we can see how a pale pink front door with blue shutters makes for a very appealing, eclectic and charming entrance. 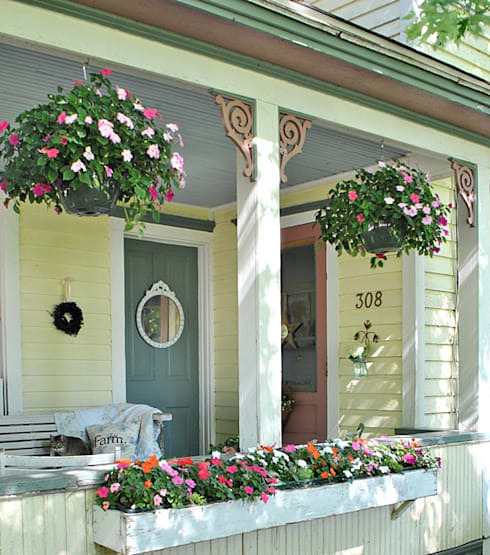 Place a pot plant on either side of your front door to bring a natural touch to a modern design. 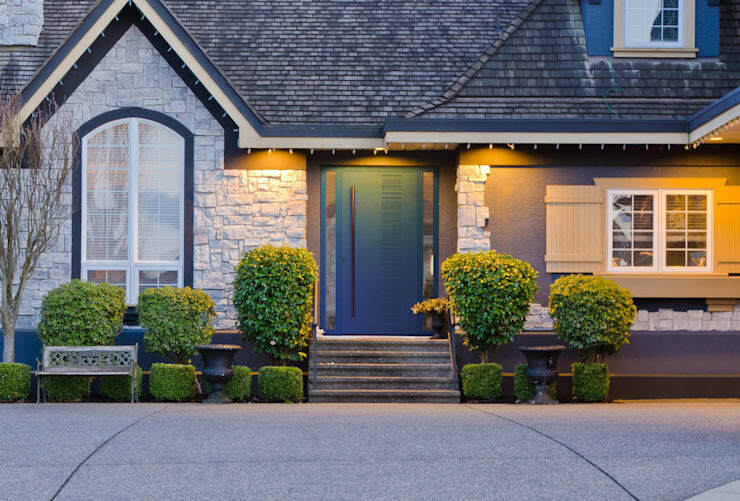 Use outdoor lighting to enhance the details and design of your entrance, which creates a very effective look and feel as we can see in this image. It also makes your entrance a beacon to come home to in the evening. Flower beds can bring beauty and colour to any entrance subtly and naturally. 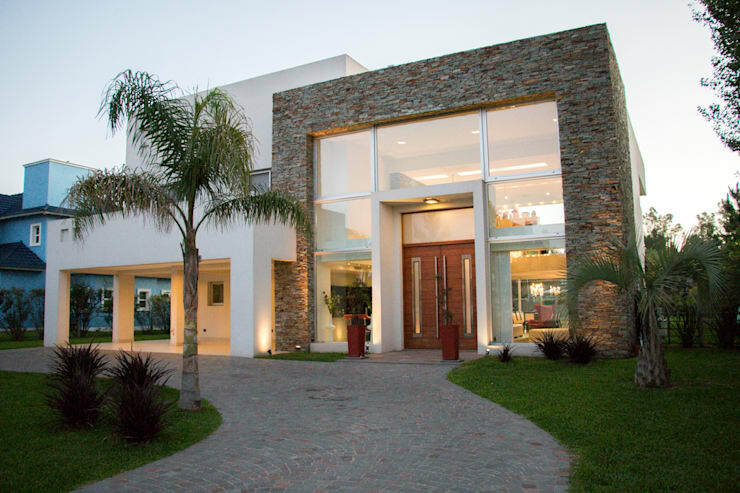 They can also soften a very contemporary and solid facade. 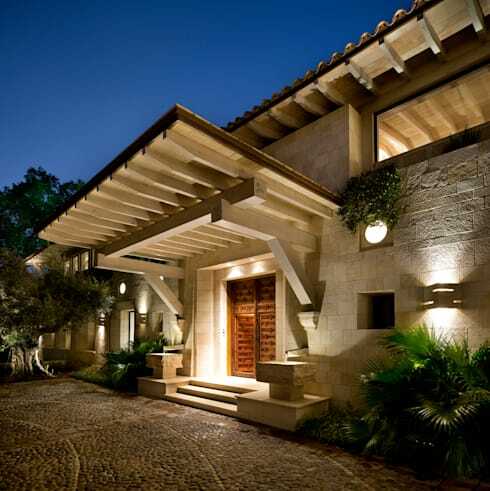 Don't forget to add a cover to your entrance so your guests don't wait in the rain or hot sun while you open the door. 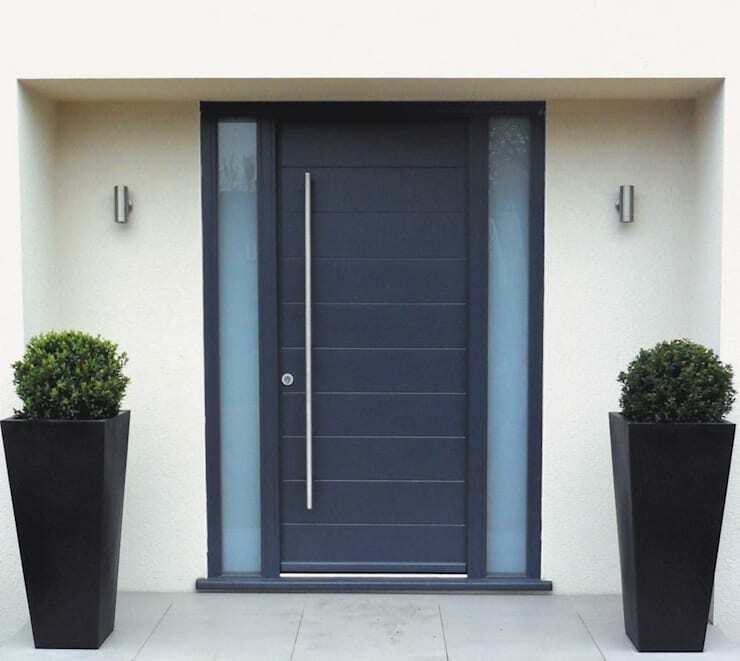 Don't be afraid to use shapes, volumes and lines to your advantage, creating a very unique and appealing exterior design. 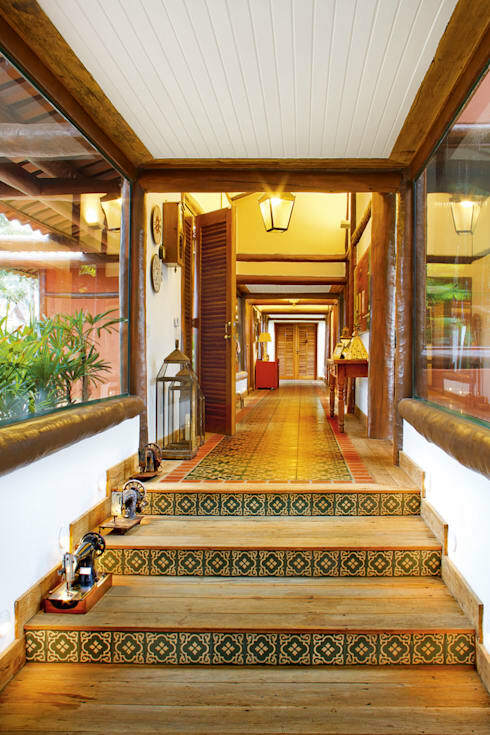 Mix wood with patterned tiles for an entrance that is full of personality like these designers have done. Make sure guests know exactly where your entrance is. 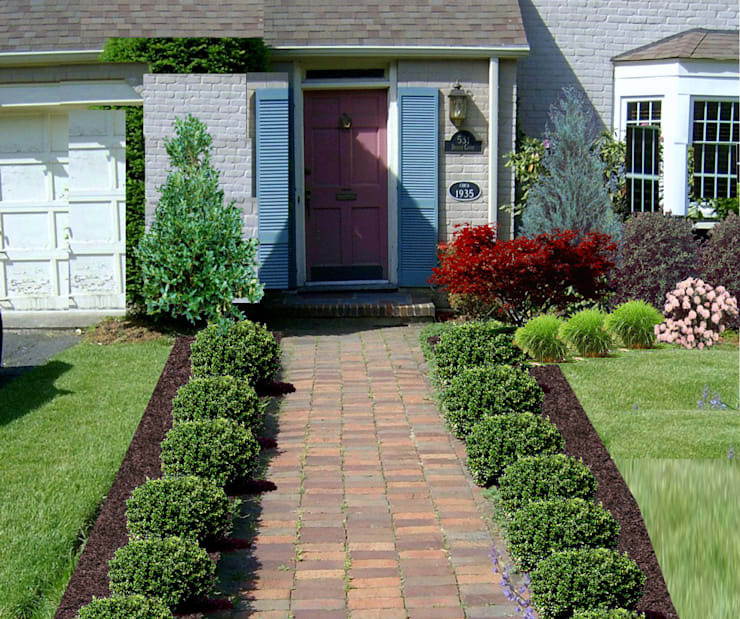 Use a paved driveway to lead them right up to your fabulous front door! Even better if they can park their cars just outside. Cobble stones also bring a beautiful rustic touch to the entrance of a home, creating a very charming environment. Stairs lead guests, family and friends right up the front door, while keeping them away from the hustle and bustle of the street. 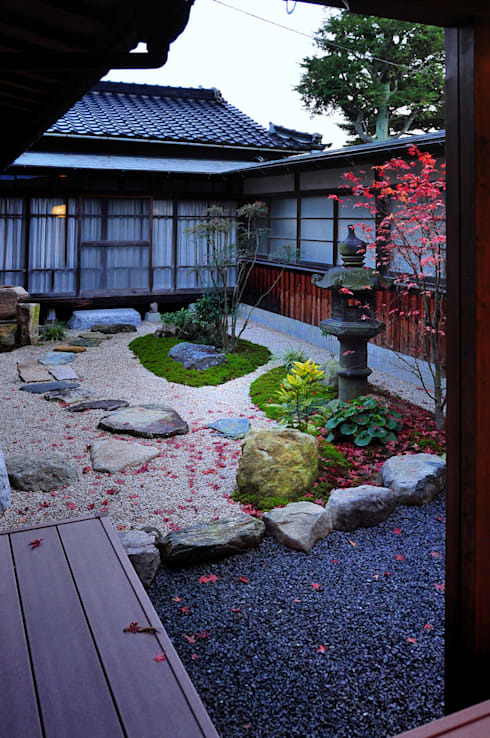 Take a leaf out of Japan's book and use your entrance to create a Zen garden. Guests will arrive at your door serene and tranquil! If you don't have time to invest in a front garden or planters at your entrance, furnish this space with a cactus. 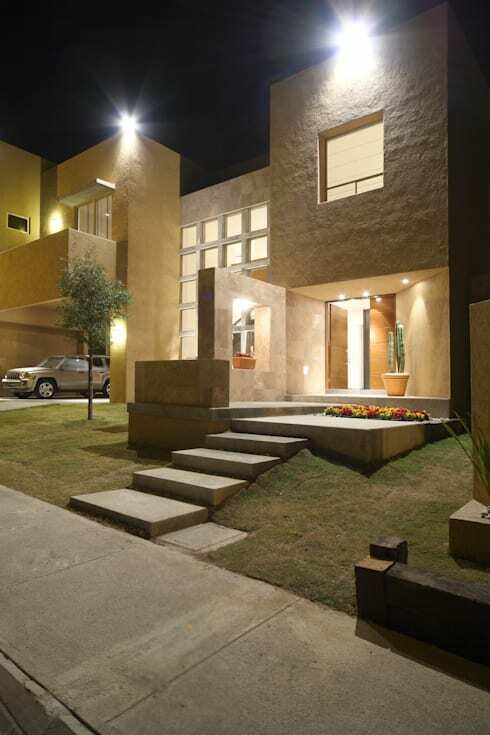 It requires very little maintenance, water or care and adds a stylish touch to the design. 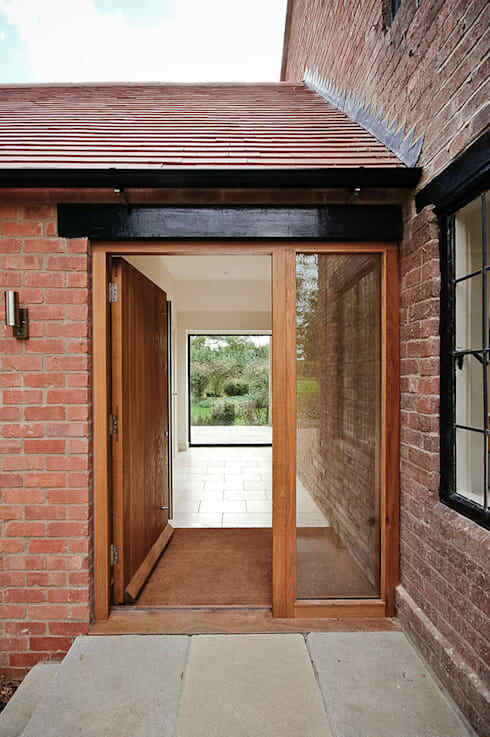 Wood and brick work very well together, creating an inviting environment that is as warm as it is practical. 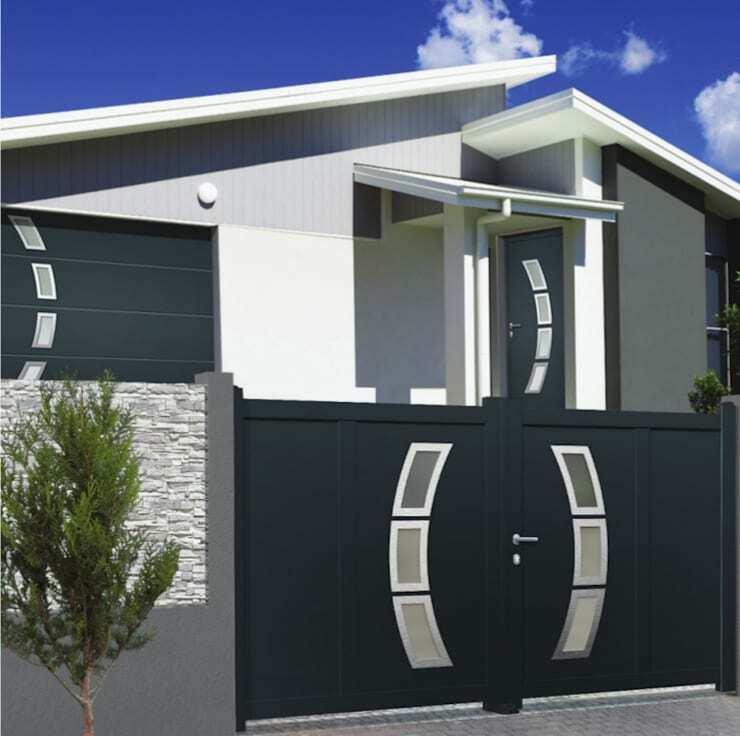 If you have a high perimetre wall or gate in the front of your house, have some fun with the design. 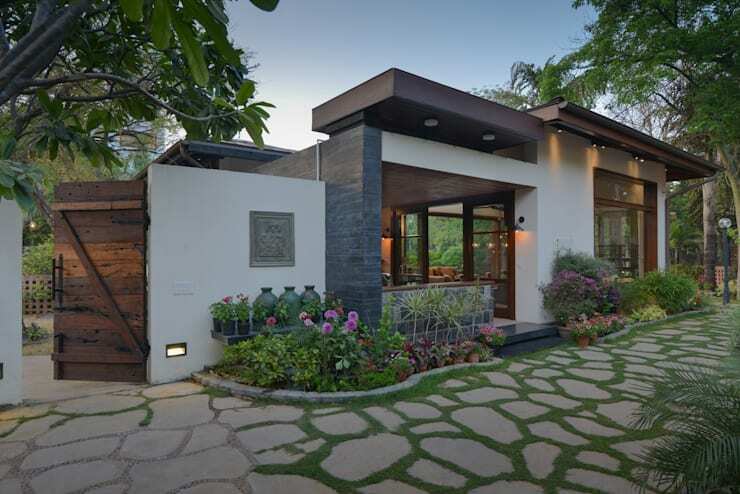 In this image, we can see how bamboo has been used for the gates, which contrasts beautifully with the stone cladding and the little front garden. 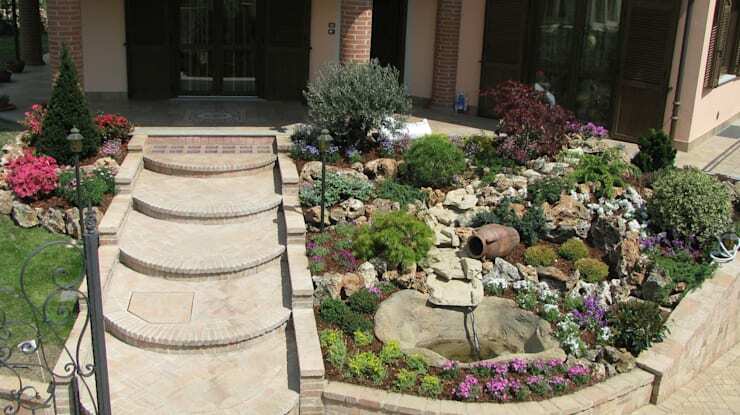 A little fountain or pond can add a beautiful and calming touch to a front entrance. Have a look at these stunning water features that work in any home! Which entrance would you go for?